The Micromax Bolt D200 is yet another fish in the sea when it comes to affordable smartphones. It lacks one major feature which is 3G connectivity. It is safe to say that it is a decent touchscreen alternative to a feature phone. There are obviously certain perks, like using android applications, but the low RAM keeps the functionality limited. This device comes with only 512MB RAM that is decent enough. Coming to the camera specifications, they are 0.3MP sensors on the rear and the front. Running on Android 4.4.2 Kitkat OS based user interface. Which is outdated when compared to the market scenario. Storage, however, is quite acceptable, and it can be expandable up to 32GB via microSD card. But the device misses out on the battery life which might not be up to a standard. A 1200mAh battery needs frequent charging and that is not an option one likes to choose in their hectic lives. Instead of 3G, one has to use WiFi for faster internet access. Hence we suggest you invest in something more efficient. 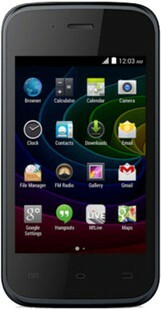 The Micromax Bolt D200 might not be a great buy for INR 2499, but it is a decent buy for the price tag it retails at. So, considering Micromax Bolt D200 price in India, you might want to consider this device. Micromax Bolt D200 full specs and reviews as of Apr 2019. Buy it here!